Great FDA blog post on data interoperability with devices in the hospital setting. Let move this into the patient world as well as clinical settings. An infusion pump that administers medication to a patient also connects to the hospital’s electronic health record system where the physician inputs orders for specific amounts of medication to be delivered at specific times. If the infusion pump and the electronic health record are not interoperable, with clocks that are synchronized, medication errors could occur. Ok what about insulin pumps, cgms, meters and life outside the hospital with diabetes? I have used Glucophage Generic and found it to be very effective. My doctor had prescribed this medication for me and it has worked very well for me. I definitely recommend it, but not without consulting your doctor. 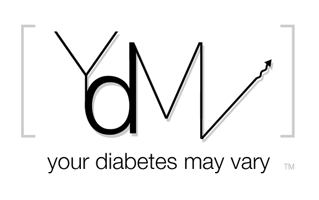 Hey Everyone at Your diabetes may vary! My name is Rebecca, I am an editorial intern for Walgreens 'Diabetes and You' magazine, and I wanted to share with you a link to the online version of the most recent issue of our award-winning magazine. our award winning material is user friendly and helpful for those with diabetes and their loved ones. Click here or pick up your free copy at your local Walgreens. This issue features gourmet, vegetarian recipes from the Culinary Institute of America, including the Stuffed Eggplant Parcels with Red Chile Salsa on the cover, as well as Zucchini-Mushroom Griddlecakes and Chilled Beet and Fennel Soup. The feature article is on Golden Globe- and Emmy- nominated actress Elizabeth Perkins, who is probably best known for her role as Celia Hodes in the Showtime series “Weeds.” When Elizabeth was in the middle of shooting the first season of “Weeds” eight years ago, she suddenly found herself on the other side of the camera: as director of her new life with type 1 diabetes. Elizabeth recently co-produced and starred in a documentary called “Strength in Numbers,” which focuses on the people who support family or friends who have diabetes. Our article from the Joslin Diabetes Center in Boston, “Caregivers: Key Members of your Diabetes Team,” also focuses on the important theme of helping people with diabetes get the support they need.